If you’re a raw-vegan foodist, you’re probably already familiar with the benefits of sprouting. To explain, sprouting is nature’s way of packaging up all the nutrition required to germinate a seed. 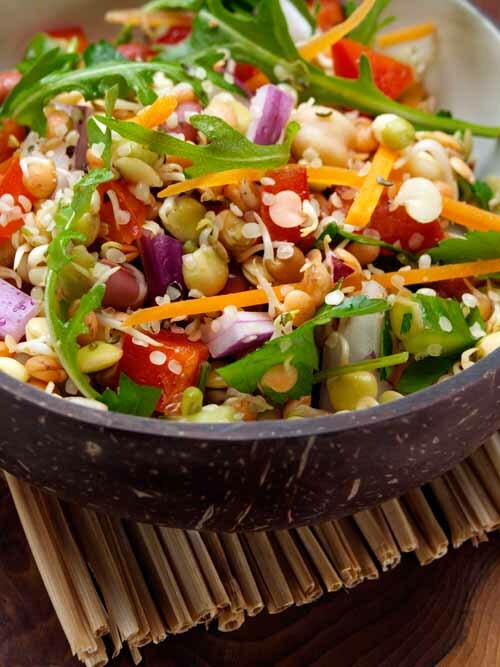 Therefore, this Sprouting Raw Salad is chock full of sprouty goodness! It’s jam-packed with essential vitamins, minerals and amino acids which are often lacking from our diet. Plus, sprouting makes it easier for us to digest the raw legumes. Just remember to always chew chew chew! Organic sprouts 22% (adzuki, mung, chickpeas, lentils), cucumbers, tomatoes, peppers, carrots, rocket, parsley, red onions, linseeds, olive oil, organic lemon juice, sea salt, black pepper. Please see the packaging label for nutritional information. To make healthy, homemade whole foods using simple recipes with carefully selected ingredients. Laura’s Idea is the UK’s leading health food supplier for stores across the country. 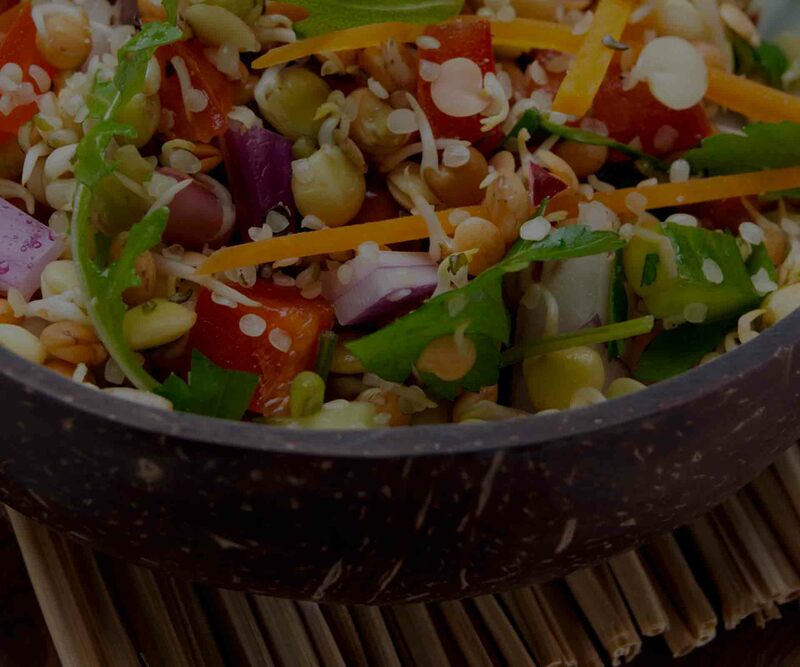 From salads and sandwiches to curries and cakes, our wide range of healthy dishes are created with your health in mind! Laura's Idea Ltd, PO Box 25825, London, N5 1ZH.